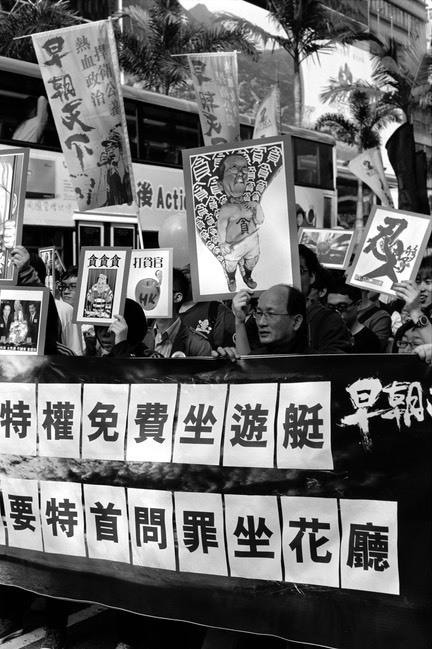 Sometimes black and white simply suits the whole thing better, like this photo of protestors last weekend in Hong Kong. While they were colorful enough, the bright yellow bus in the background would have made the photo a mess and distracted from the people and banners in the foreground. The smooth tones of the picture are typcial of the gorgeous Fuji Neopan or ACROS B&W film that I used here. The great thing is that I can get a simply beautiful print from this negative using an old process and smelly chemicals that would add more chartacter to the whole thing. Mind you, the Nikon scanner and Vuescan software does make a nice digital rendition.